Conservation status: Architecture monument of state importance No. 6174 - whole manor complex with the park. 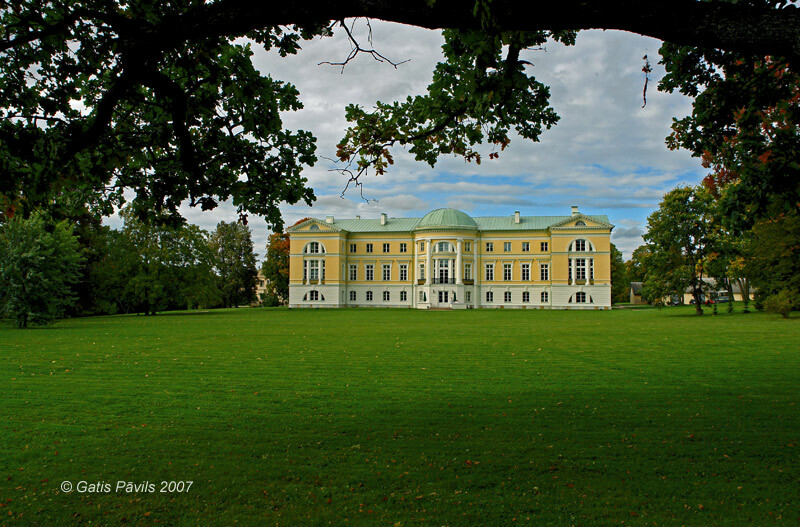 The era of Neo-Classicism is widely represented in the architecture of Latvia and one of the outstanding examples of this style is Mezotne Palace built in 1802. This palace is made special by well planned, harmonious landscape around it, palace building is interwoven in landscape shaped by numerous expressive subsidiary buildings, beautiful park and the river of Lielupe and beautiful landscape behind it. Mežotnes pils (Latvian), Mesothen (German), Мезотен (Russian). In the centre of current Mezotne village in 1640, during the reign of Duke Jacob here was built a manufacture and whole town of weavers was built around it. In 1648 here was opened factory of luxuriant brocade and gobelin workshop, later - also other factories. Before the construction of the new manor house the later manager's house of Mezotne manor served as manor house. 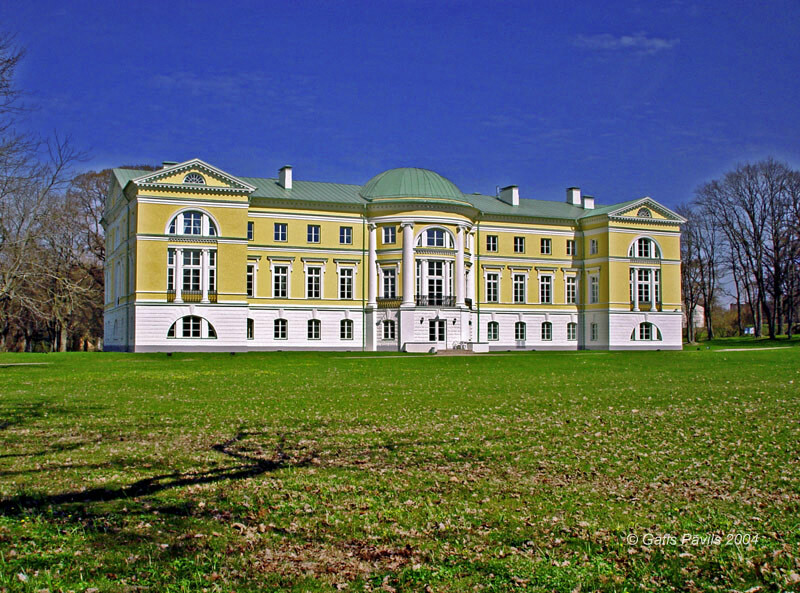 Tsarina Catherine II in 1795 gave use of this manor to a teacher and governess of her grandchildren (initially - granddaughters, later there were born also grandsons) - Charlotte von Lieven (1742-1828). Charlotte von Lieven was married into ancient family of Lievens whose roots go up to the ancient Livic governor Kaupo. This family owner numerous manors all over area of Latvia. Charlotte was choosen as a governess of Russian emperor's children thanks to good name of Baltic Germans - in Russia they were considered to be Puritans, morally austere and intelligent people. Energetic, frank and strict and also warmhearted Charlotte and children of royal family liked each other, Charlotte befriended with empress and ther royal family and became their trustee. Tsar Pavel I (father of the children raised by Charlotte) in 1797 turned Mezotne into family property of Lievens. 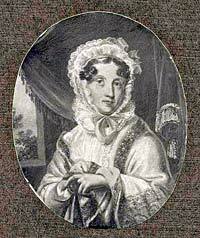 In 1799 Charlotte became countess. 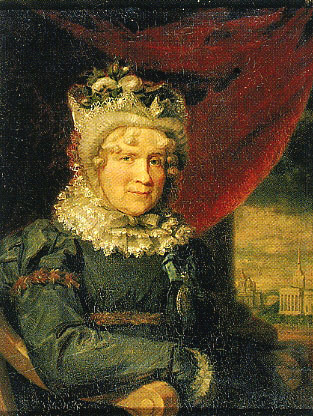 Her career in nobility continued: in 1826 her rised child - now Tsar himself - Nikolai I made her a Princess. Already in 1797 there started the coonstruction of the new palace. 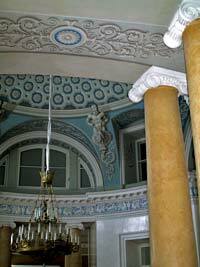 In 1802 the beautiful, then very modern palace was completed but up to 1817 there continued works at interiors. Architect of the building J.G.A.Bertliz used for the design of the building the design of Eleja Palace (architect Giacomo Quarenghi, palace now perished) with some modifications. Simultaneously there was elaborated design for the park of palace. It is possible that at the end of construction works were taken over by architect Smoliani who might have introduced some innovative nuances. Owner of this palace - Charlotte von Lieven - managed to visit it only once, when for a night she passed by with some Russian nobleman. But she still is buried in Mezotne. 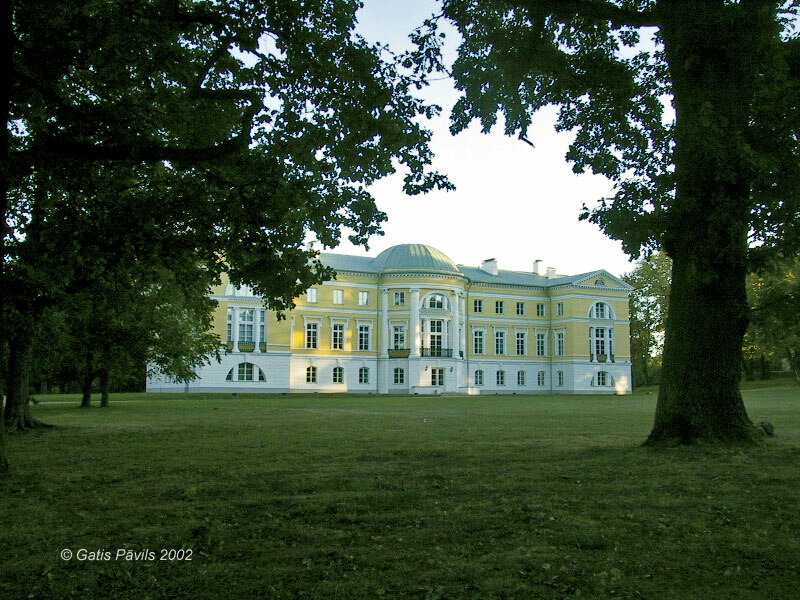 Manor house was inherited by her son Johann - he continued to shape the exquisite palace and its vicinities. 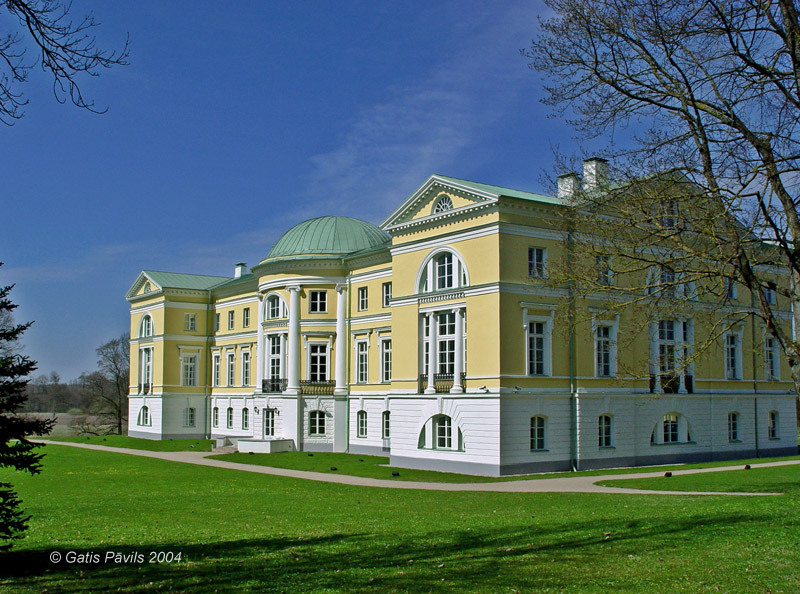 Son of Johann - Prince Paul Lieven joined Bauska manor with castle ruins, nearby Derpele manor, Svitene manor and Krimulda manor in Vidzeme to his properties. During the World War I the palace was heavily damaged by German troops and during the short reign of Soviets in 1919 it suffered even more. Owner of manor Anatol Lieven was leading a military unit and cooperated with the armed forces of newly established Latvian state. Anatol Lieven was the last private owner of manor - the family lost it during the agrarian reform in 1920. Up to 1939 his family held Mazmezotne manor in the opposite bank of Lielupe. Lieven in these times produced of brick in nearby Mezotne brick factory. Palace came under state protection in 1927. 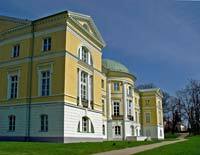 In 1935 - 1936 there took place reconstruction of palace and here was established agrarian school. Already in 1944 - during the II World War - palace again suffered heavily. At the end of 1958 there were started lengthy works of renewal and reconstruction of the palace complex by the managers of manor centre - Latvian Station for Agricultural Selection and Experiments. In the palace were located administrative premises and apartments of this institution. Plastering of the palace building ended on 1968, reconstructions of interior lasted up to 1989. In 2001 in five months time there took place full renovation of manor complex - there were renewed also interiors and the old furniture, hotel was located in hotel. Authors of renovation project - architects Z. Kalinka and P.Venckovics, at the renovations of interiors helped art historians D.Brugis and I.Line. While developing interiors there was partly renewed the historical interior but the palace was adjusted to contemporary needs - there was installed modern infrastructure and historical palace became modern. 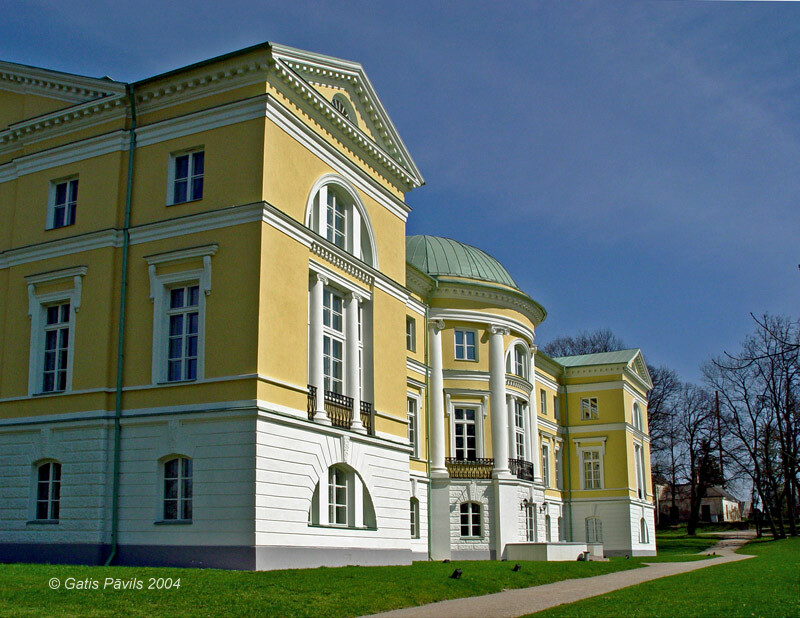 Mezotne palace is outstanding example of buildings where architecture does not end at the outer walls of the building. One of the most important values of this building is considerate placement of it in surrounding landscape through creation of romantic park and a complex of beautiful buildings around it. Mezotne palace next to the serene Lielupe river and silent, beautiful and romantic park creates a special impression. Neo-Classicism palace - modern building at its time - was created by architect J.G.A.Berlitz after a sample of nearby Eleja palace. Berlitz added risalites at both ends of palace building. Palace has got three floors. Central part of the building in courtyard side is accented with portico - four columns keeping a triangular pediment. At the other side - park side the central part of palace is accented with semi-circle protrusion. Neo-Classicism style is maintained in smaller details - facade of the palace is adorned with Doric capitels, pediments, cornices. 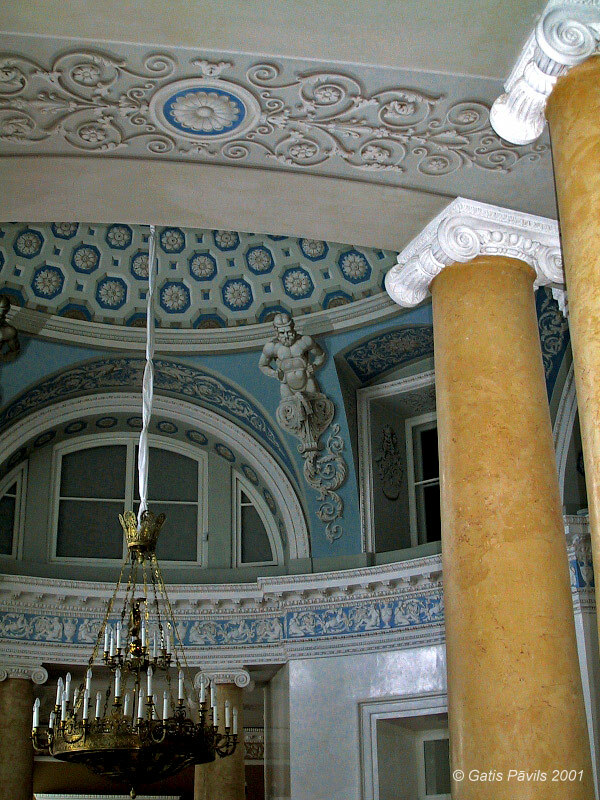 Interiors in the palace in general have been well preserved and reconstructed. In accordance with the local traditions of Neo-Classicism the entrance vestibule is modest but further premises are ornate. 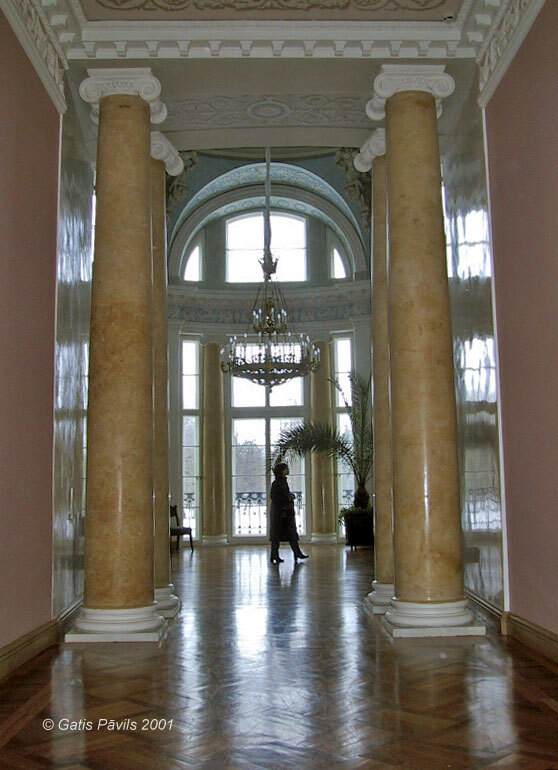 Most beautiful room is Dome hall - having one of the best Neo-Classicism interiors in Latvia. This interior uses Pantheon in Rome as sample. Cupola ceilings of hall are adorned with illusory paintings with figures of Atlants. Here is located chandelier with 40 candles. Partly preserved is historical wallpaper. Part of wallpaper is changed in middle of 19th century replacing the earlier modest and harmonious wallpapers with ornate and rather dreary Historicism wallpapers. 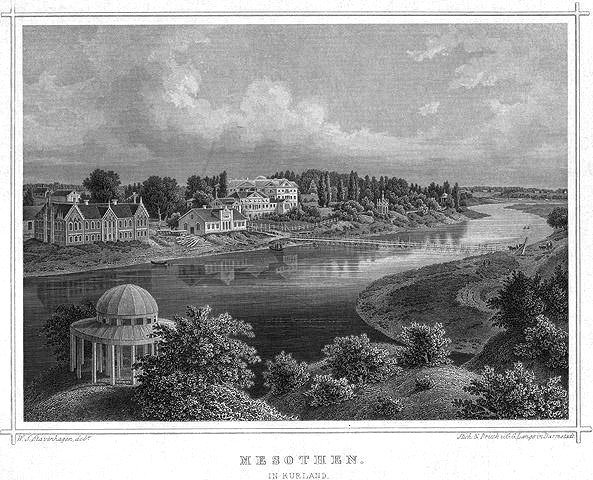 Centre of Mezotne in 19th century. Mezotne Palace, view from park. 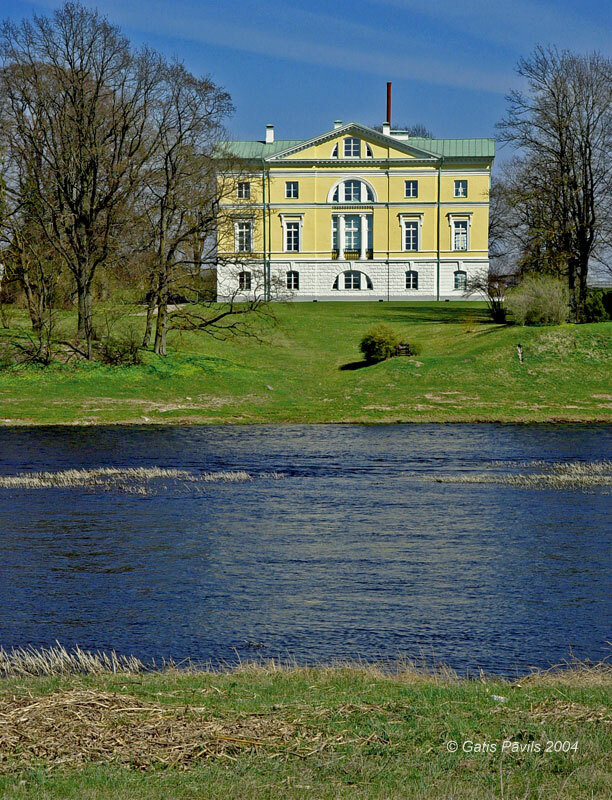 Mezotne Palace from the opposite bank of Lielupe. 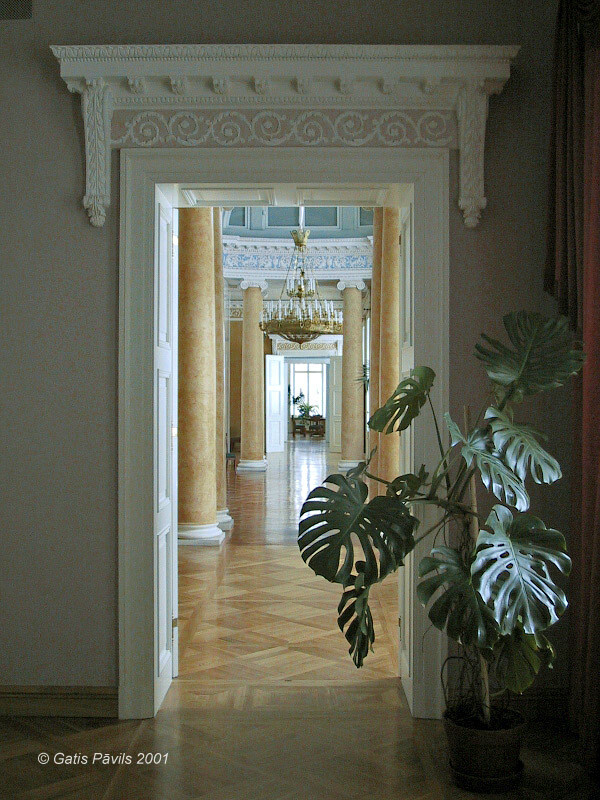 Mezotne Palace - view on Dome hall. Bruģis D. Historisma pilis Latvijā. Rīga, 1997. 100 sakoptākie kultūras pieminekļi Latvijā, Rīga, Valsts kultūras pieminekļu aizsardzības inspekcija, 2005.